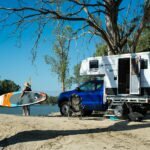 Tweed Coast Holiday Parks, currently undergoing a major redevelopment of its Kingscliff Beach park, has announced it will reopen the park to the public on April 13, 2018, much earlier than the previously forecast mid-year opening. 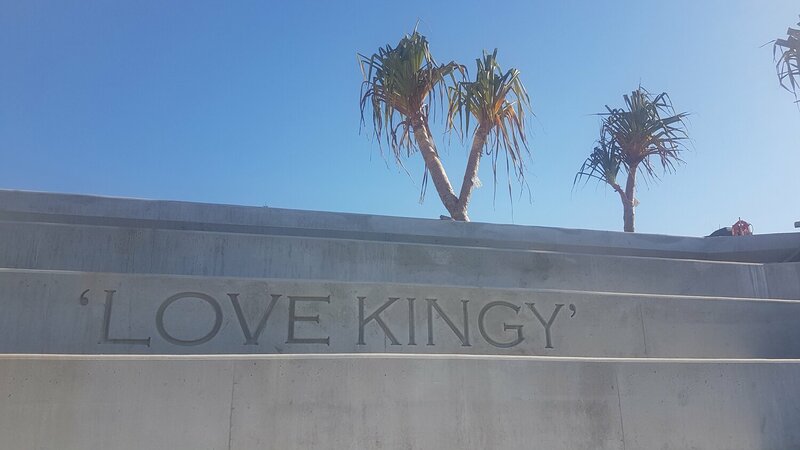 The Holiday Park redevelopment is part of a $21.2 million Kingscliff Foreshore Revitalisation project to enhance and protect the foreshore, which includes the construction of a permanent sea wall to protect the coastline, a major redevelopment of Kingscliff Beach Holiday Park and the creation of Kingscliff ‘Central Park’. 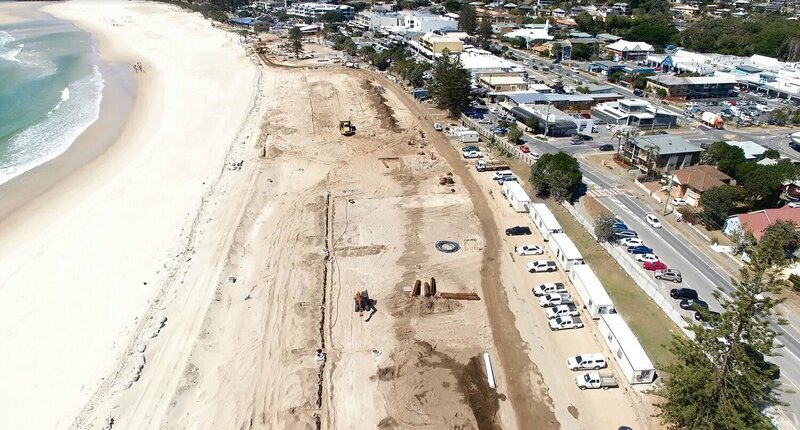 “The redevelopment is coming along really well and we are currently ahead of schedule” says Andrew Illingworth, Tweed Coast Holiday Parks Unit Coordinator. “We have received so many enquiries asking when the park will reopen so it’s really exciting to be able to finally announce a date, and a much earlier date than was initially forecast”. 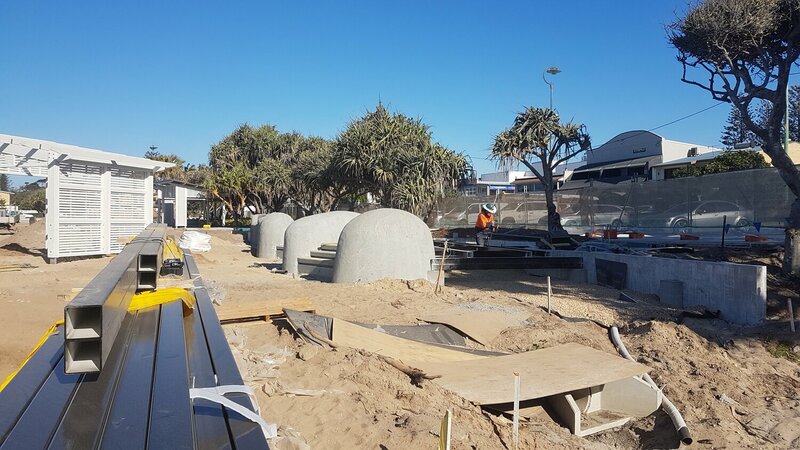 The new Holiday Park at Kingscliff Beach will provide holiday makers with modern accommodation and facilities, in a beautiful beachfront setting, in the heart of Kingscliff. Local businesses will benefit from visitors staying and spending in the area and the new Kingscliff ‘Central Park’ will provide a space for locals and holiday makers to come together. Project progress to date includes the completion of the 500-metre-long permanent seawall from the northern end of the Holiday Park to the southern end of Cudgen Surf Lifesaving Club, as well as completion of the concrete steps at the seawall’s southern end, linking Kingscliff ‘Central Park’ to the beach. 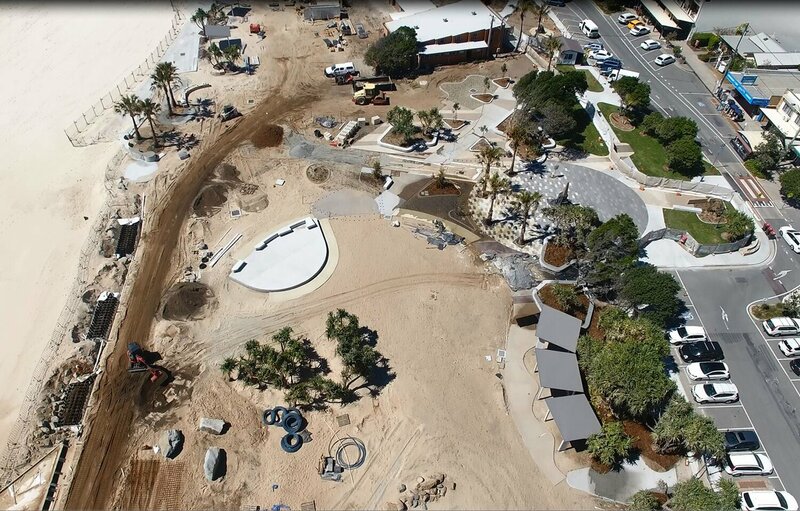 The Kingscliff ‘Central Park’ is now taking shape with the implementation of concrete paths in the area fronting the cenotaph. 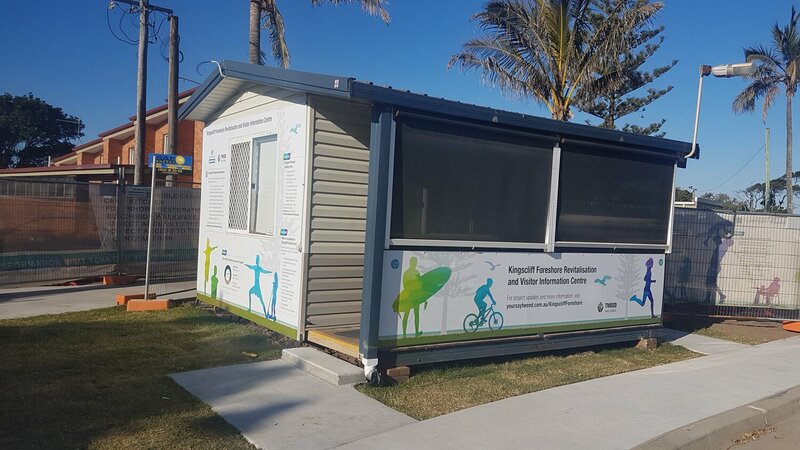 The Tweed Coast Holiday Parks office building has also been relocated and now fronts onto Marine Parade, which will be staffed by The Visitor Information Centre volunteers over the remaining months of the redevelopment project, providing a space for members of the community to drop in and ask questions about the redevelopment.